Home > Leadership > Marketing Management: What Makes for Strong Leadership? Marketing Management: What Makes for Strong Leadership? Marketing, like any other job, can thrive or falter depending on the actions and choices of the person leading the team. Having insight into strong leadership skills and strategies can make a world of difference when it comes to being successful in any field, marketing being no exception. Assembling a strong team, keeping everyone on the same page, and exhibiting strong leadership can turn a marketing campaign from a flop into a shining example in no time flat. No matter your organization, marketing is an important piece of the puzzle and, if you want to see success, you need the right combination of experience, education, and skills. A marketing director is expected to be able to conduct market research and evaluate the data to inform strategy, review and provide feedback on marketing assets, and develop the message that will build brand identity for an organization. It requires marketing knowledge, management skills, and the ability to multitask and problem solve. Successful marketing directors suss out the strengths and weaknesses of their team and assign tasks accordingly. They will work with professional writers and foster communication in order to avoid duplicate content or tactics that will make the campaign seem unfocused. They set clear objectives for their marketing strategy and play to a brand’s inherent content strengths, providing tangible, trackable results. Any successful marketing campaign also utilizes any and all marketing tools available to them. Equal attention is given to search engine optimization, presence on social media platforms, and traditional marketing methods. A well-managed team will work in tandem to maximize the effectiveness of the strategy set forth by those in leadership roles. Marketing is an inherently collaborative process, and a good leader values that collaboration highly. 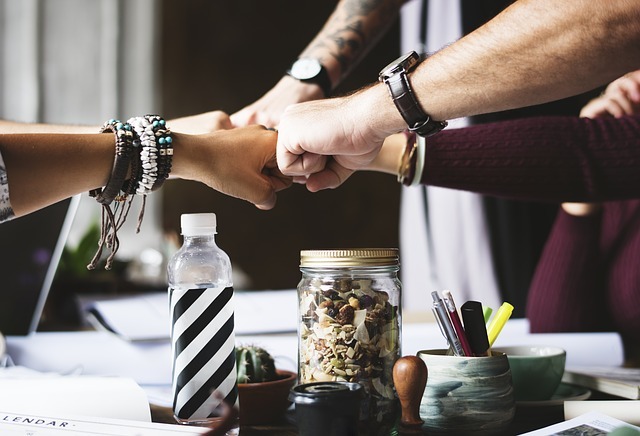 Having a diverse team of individuals is an incredibly valuable resource for any project, but especially so for marketing. A team that mirrors the various genders, ages, sexual orientations, religious beliefs, ethnicities, and physical abilities of the U.S. populace brings a variety of viewpoints to the room and can result in a highly functional team. Diversity can foster innovation by introducing new and different ideas, cultures, and norms. Having a wide range of unique skill-sets and talents can help to improve problem solving and critical thinking within your team. A marketing team that embodies the diversity of the U.S. will naturally be able to connect with the populous in a way that a team lacking in that level of diversity isn’t capable of. It is important to develop your leadership strategies to the best of your ability to achieve success. Be aware of how your community management skills affect your team, and make it a point to exude a positive attitude, define clear conventions, and maintain a friendly disposition with your team. Being willing to share knowledge openly with your team will boost morale and productivity. Become a go-to knowledge base not only for those you are marketing to, but to your team as well. Make goals and expectations clear, but avoid a wholly autocratic management style that can breed a culture of blame among your team if something does happen to go wrong. Be open to feedback from your team; even if you don’t implement their suggestions, the fact that you are willing to listen fosters trust and loyalty. Allow your team to flourish on their own, giving them a decent amount of autonomy in order to spur creativity. However, don’t let the pendulum swing too far into chaos, leaving you with a team that is working so independently of each other that they are unaware of what the other members of their team are doing for the project. Offer guidance when necessary, and be willing to sit down with team members to listen to concerns, answer questions, or even just develop a rapport. While there is no single right way to be a successful manager, practicing leadership strategies, being mindful of your teams’ strengths, trying to foster a good level of diversity, and open communication that keeps everyone on the same page is a great place to start. Use all tools and assets available to you, but don’t be afraid to be flexible if something isn’t working correctly. Before you know it, you’ll be the captain of a team of capable, loyal individuals with a passion for their work.